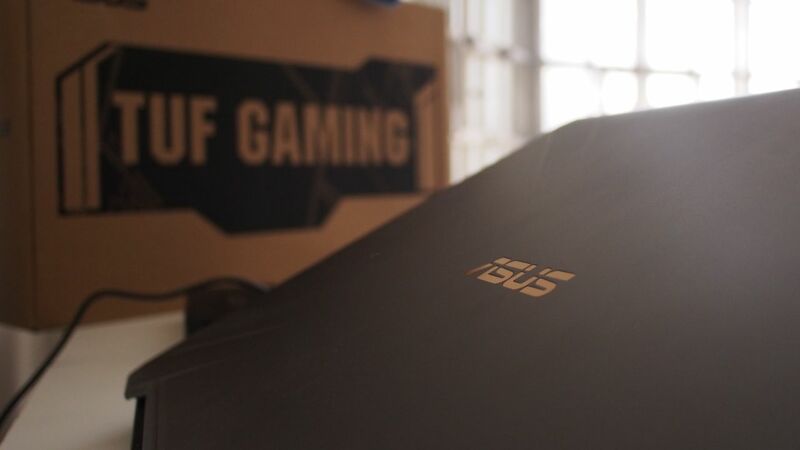 For a couple of weeks, we also got to experience the relatively price conscious FX705 that belongs to the TUF Gaming lineup of notebook devices from Asus. 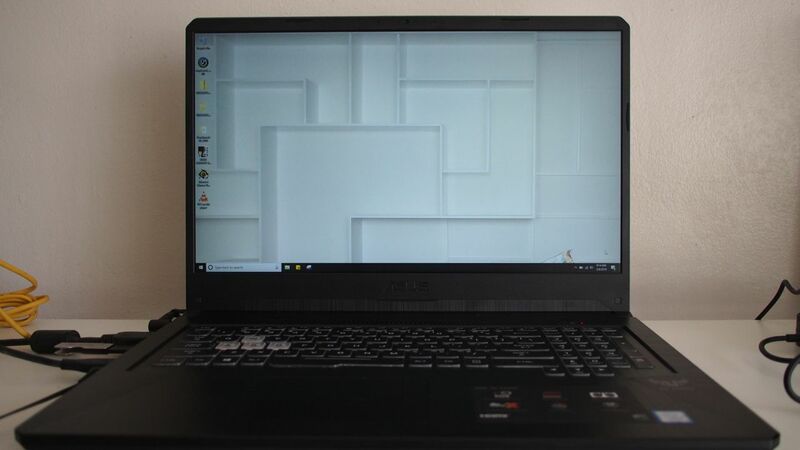 The best way to describe this machine is it’s like a rather simplified version of its ROG contemporaries shedding off a relative amount of features to deliver a competitive gaming experience especially catered to those who are just stepping out of the commercial lineup comfort zone in favor of beefier, and overall better, game-ready gear. To put things into perspective, the FX705 is currently priced at Php 81,995 and while that might sound like its a lot, considering the specification within the machine will likely have you reconsider that position. The unit I had for review came with an Intel core i7-8750H, that’s 12 logical cores clocked at 2.2GHz, and it was coupled with an Nvidia GTX1050 Ti – granted that’s not the highest config out there and testing it with the FFXV benchmark puts best gaming experience at 720p / standard. 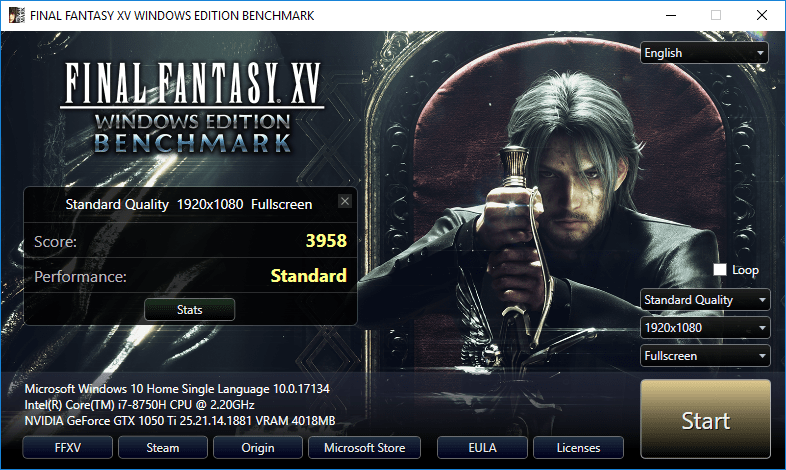 You can actually play 1080p / high settings on the FX705 but that’s going to be just hovering around 30fps, the occasional dip, and the fineness of gaming nearer the 60fps mark is still definitively the better and recommended experience. Speaking of fps, the FX705 runs a 144Hz panel giving the user a proper platform to perform properly during skirmishes especially for the FPS genre. This means that when the settings are tuned to performance over quality, panning around scenes can be done without loss of fidelity. 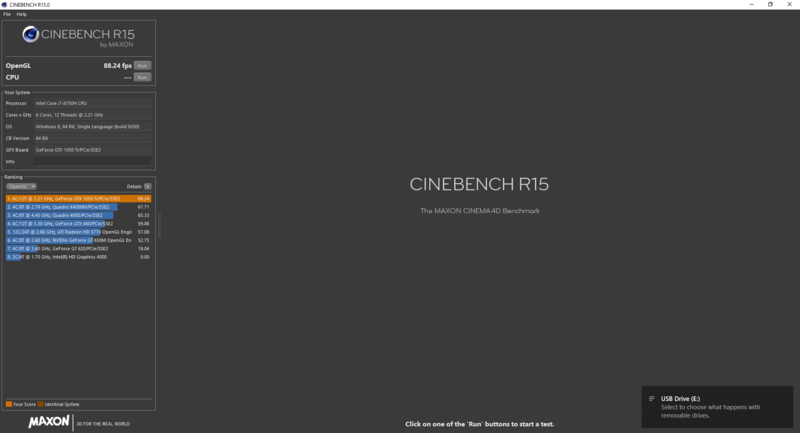 The screen surface is matted out which is actually a personal preference of mine despite having less punchy colors. 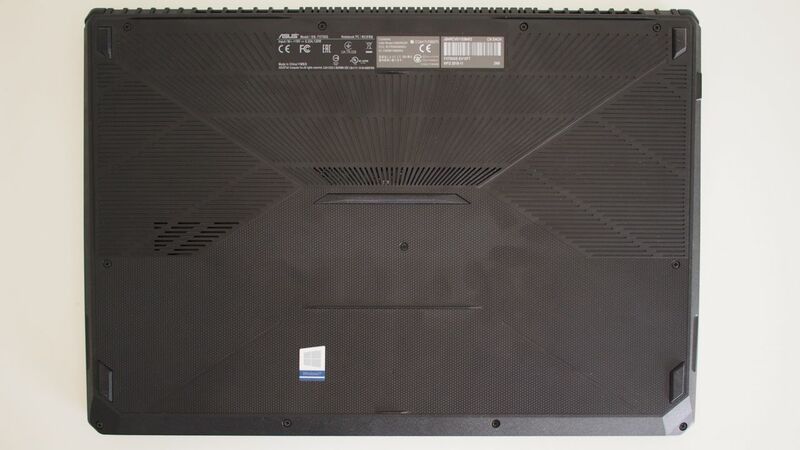 This allows the notebook to work better in various lighting situations compared to its glare-type brethren. 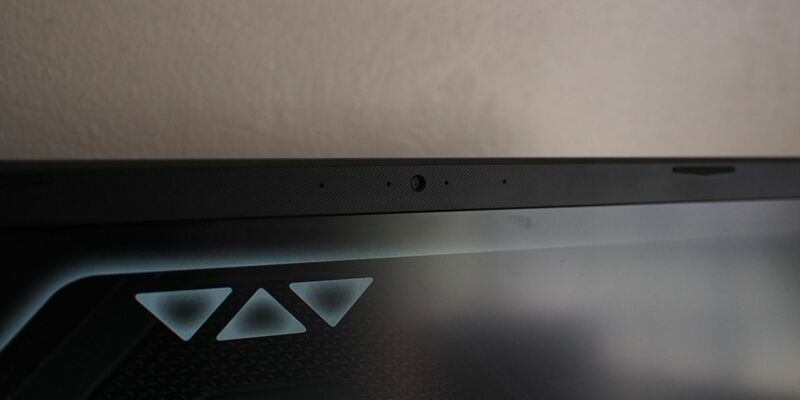 It’s nano-edge on two sides, has a camera up top and a bit of a chin at the bottom with the Asus insignia centered. This puts the display a little higher which is great for posture. Out of the box, the FX705 has two drives, the first a 128G SSD drive for faster boot-up and some of your applications, the next a 1TB HDD for all other content. This is great because it doesn’t need any interjection from the user to make sure their files are protected and ready by placing them in the DATA drive, so-labelled. It should be possible to upgrade either of these as adjustment is part of the tenets of a TUF device, you don’t need to though, 1TB is plenty. 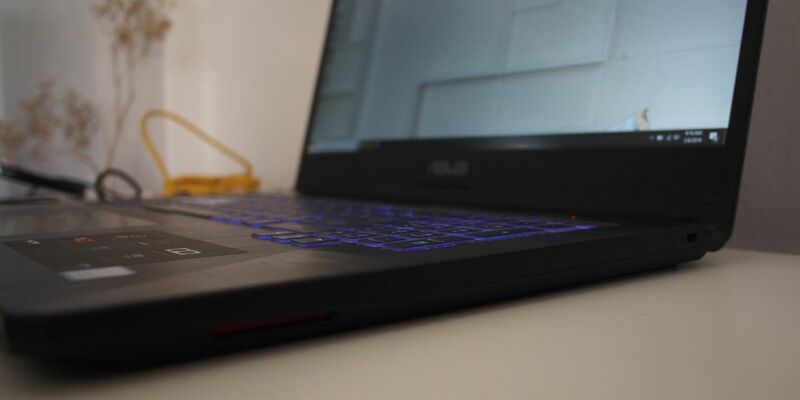 The TUF Gaming FX705 stays true to the aesthetics of the notebook line – with all the ports positioned at the left side, this configuration frees up the right side for unobstructed mouse movements. Shown here is the left side under complete utilization – from the top there’s power, LAN, fill-size HDMI, USB x3, and a combo jack that supports DTS surround, and I do recommend using a headphone with the FX705 as the speakers on this device is a tad underwhelming. 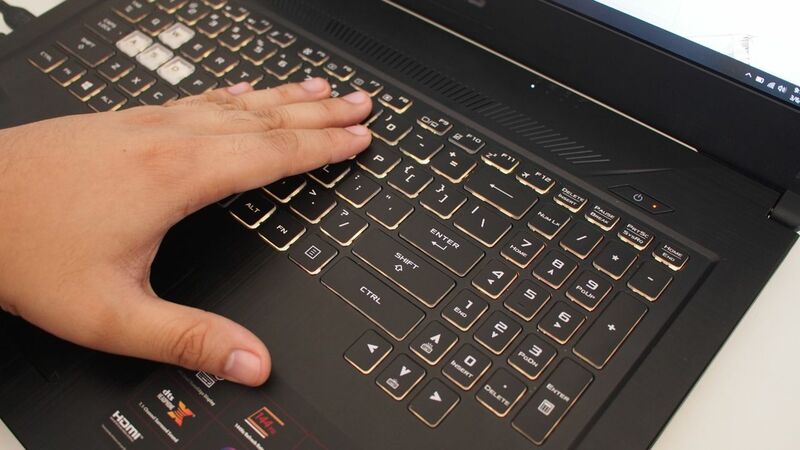 The keyboard is not my favorite part of the device – but this is a much more personal issue rather than technical, I just find it a bit “soft” if that makes any sense. 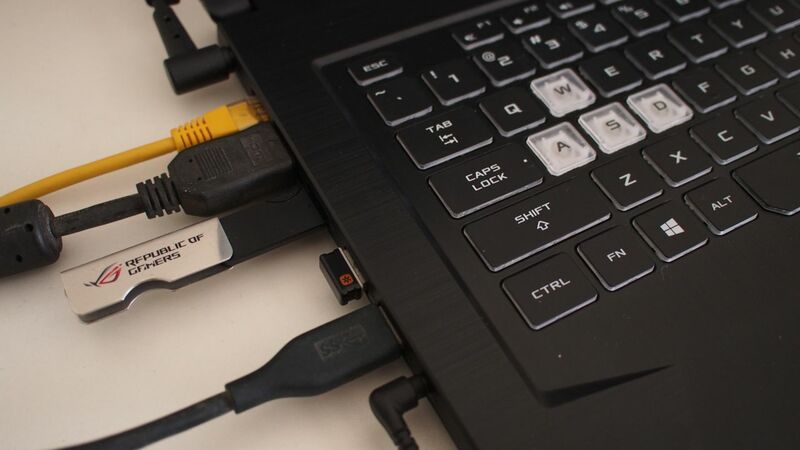 Fn + F5 triggers overboost when connected to power and allows the fans to ramp up their speed elevating graphics performance capability. 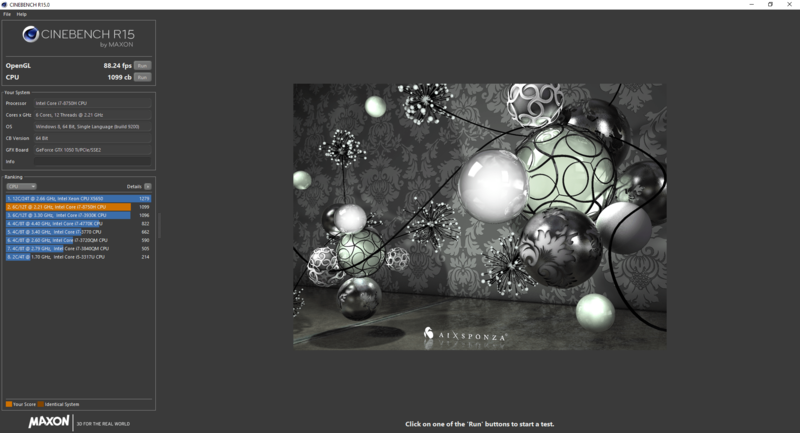 Controlling the colors is done through the TUF Aura Core utility. 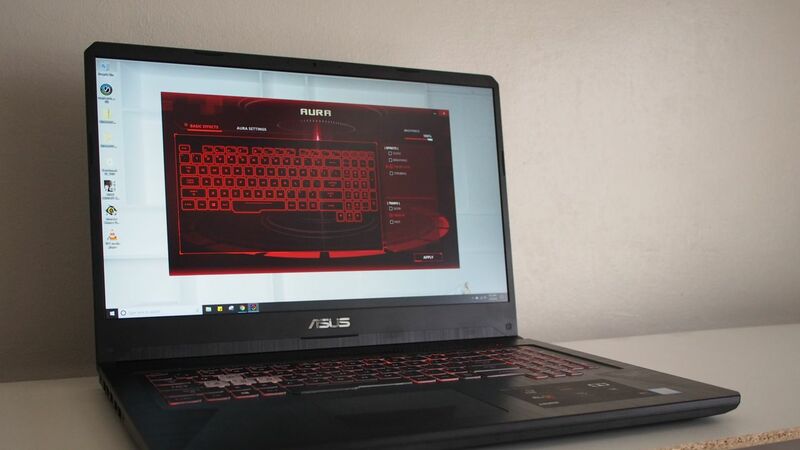 Now I’m not sure if this is the same Aura Sync that is on the more premium ROG line but because of the simplicity of the interface and the available controls, I would have to assume that the control is independent from other peripherals. 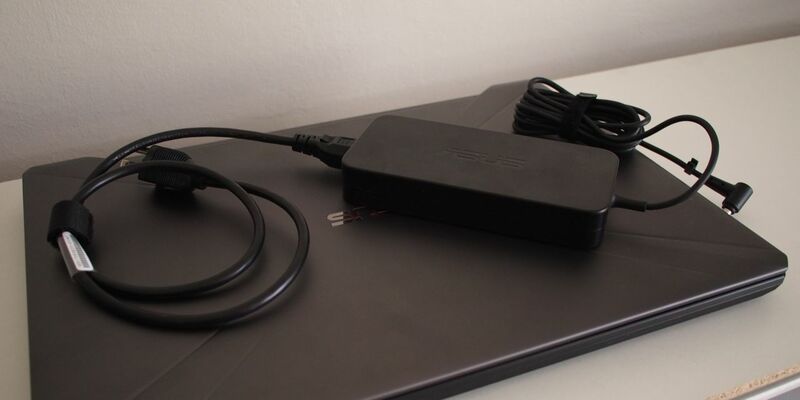 The FX705 comes with a power brick to match its size of course, it’s a bit “big” but flat enough to be easily stored. You’d want to always be bringing this along with the unit for sessions outside; you’ll probably pass the time faster than you’d expect because of the enjoyment that the FX705 affords. 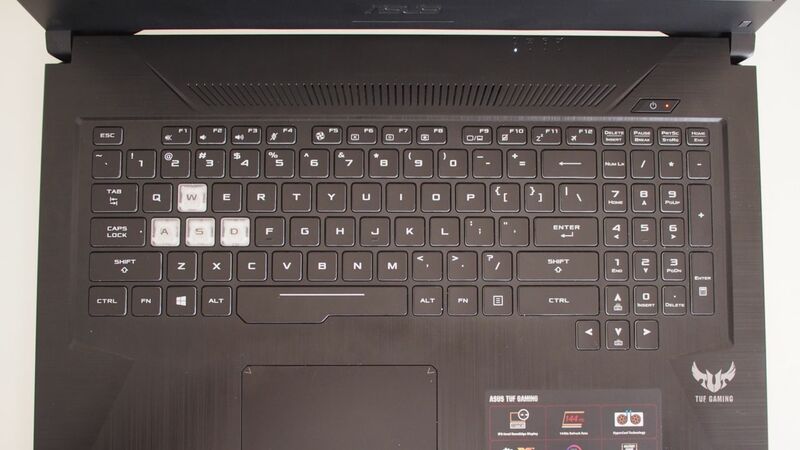 During my testing, there is some heat build-up around the middle-right side of the keyboard keys and it makes staying on the keyboard a bit less idael for long sessions. This happened regardless whether the RGB backlight was activated or not. But apart from this, the FX705 is definitely one tough competitor on this price bracket for gaming oriented devices. The Asus TUF Gaming FX705 is available from ASUS Robinsons Ermita Concept Store as well as all ASUS concept stores nationwide.